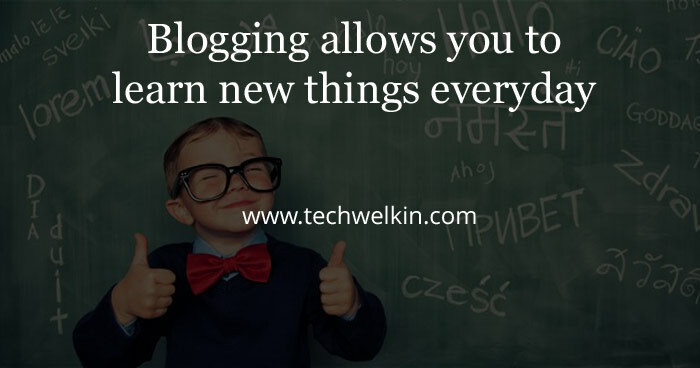 Learn blogging facts that are interesting as well as useful. These trivia from blogosphere include the key business and professional blogging facts also. We have been publishing a large number of articles on blog, blogging and professional blogging. 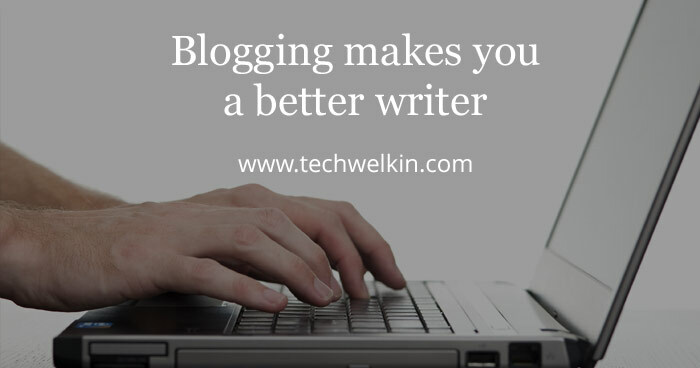 TechWelkin articles have educated hundreds of thousands of readers about how to blog and make money from blogging. Today we thought that we should tell you about blogging facts that might inspire you all to explore the world of blogs. These blogging facts and trivia can also be used in quizzes and debates. In April 1999, Peter Merholz rearranged the letters in web log and came up with term we blog. This is how the term blog was coined. Justin Hall is believed to be the first blogger ever. He is an American journalist and he published his first blog in 1994. Alok Kumar is considered to be the first Hindi blogger. Kumar began to write on his blog called Nau-do-gyarah. He also coined the Hindi word chittha for blog. Isaac Mao is the first Chinese blogger. He published his first post on 05 August 2002. All that Mao wrote in his first post was “From today, I’m stepping into the blogosphere”. Steve Gibson was the first ever hired blogger. He was hired to blog full-time by Ritual Entertainment on February 8, 1997. In August 1999, Evan Williams and Meg Hourihan launched the blogger.com . The site was later bought by Google in February 2003. In 2011, Tom Knighton, owner of Knighton Media, announced that his company was purchasing The Albany Journal. The first time when a blog purchased a full-fledged newspaper. Open Diary introduced the reader comments feature for the first time in the blogging world. Merriam-Webster’s Dictionary declared blog as the word of the year in 2004. In January 2016, total number of blogs on Tumblr was 276 million. About 59 million new posts are published every month on WordPress.com blogs. Total number of comments in one month is about 49 million. More than 71% blogs on WordPress.com are in English. Spanish comes at a distant second place with 4.7% blogs. Dutch language accounts for 0.6% blogs at number ten. Hindi language is no where to be seen in top ten languages. 409 million people read about 23 billion pages on WordPress.com blogs. More than 53% of bloggers are in the age between 21 and 35 years. Blogging facts. Blogging allows you to learn new things every day. People write blogs in over 80 languages. Bloggers are also active on social media platforms. On average a blogger uses 5 social media websites. Most of the readers read blogs in the morning between 7am to 10am. Just about 27% bloggers are full time bloggers. Less than 10% bloggers earn enough from their blogs to be able to support their family. Over 50% bloggers have more than one blog. Professional bloggers have four blogs on average. WordPress is arguably the most popular blogging platform. 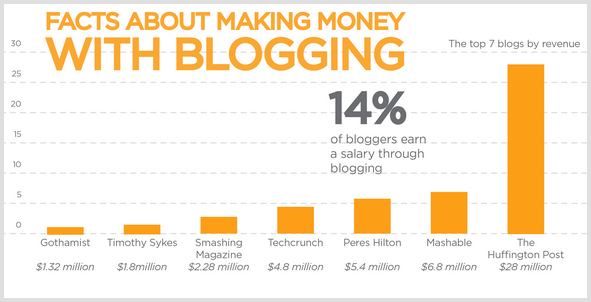 Earning from blogs requires a long time. About 20% of the professional bloggers are in blogging for more than 6 years. The highest earning blog is Huffington Post. They earn over $28 million. These were some of the interesting and useful blogging facts. We will keep on adding to this list as we will unearth more facts and figures from the blogging world. If you have any relevant information, please share with us in the comments section. Thank you for using TechWelkin. Stay tuned! It must be noted that WordPress which was primarily made and meant for bloggers is now used as a very competent CMS in a variety of ways and it runs nearly 25% of the all websites on Internet. Missing the name of Matt Mullenweg on this list. The figure of US$28 at fact no.26 must be for per annum, right?